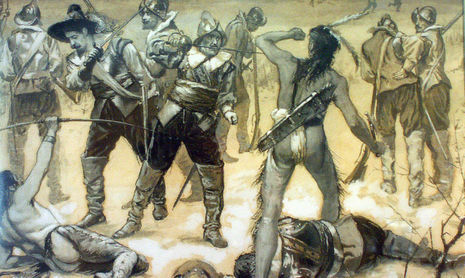 Believing that the English had returned to Boston, Massachusetts, the Pequot sachem Sassacus took several hundred of his warriors to make another raid on Hartford. But John Mason had only gone to visit the Narragansett, who joined him with several hundred warriors. Several allied Niantic warriors also joined Mason's group. On May 26, 1637, with a force up to about 400 fighting men, Mason attacked Misistuck by surprise. 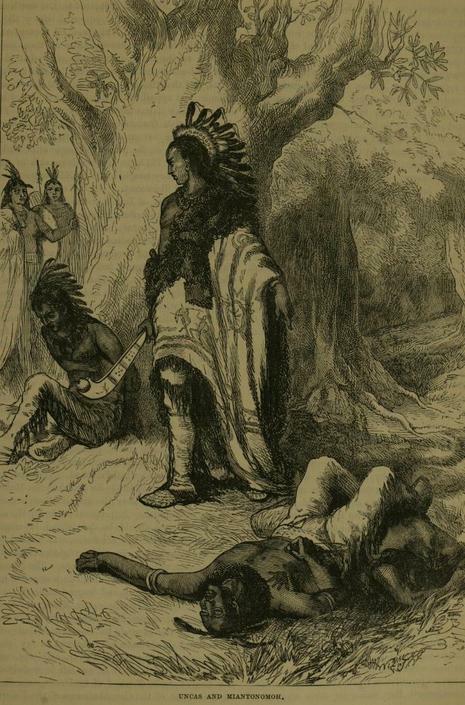 He estimated that "six or seven Hundred" Pequot were there when his forces assaulted the palisade. Some 150 warriors had accompanied Sassacus, so that Mystic's inhabitants were largely Pequot women and children. Surrounding the palisade, Mason ordered that the enclosure be set on fire. Justifying his conduct later, Mason declared that the holocaust against the Pequot was also the act of a God who "laughed his Enemies and the Enemies of his People to scorn making [the Pequot] as a fiery Oven . . . Thus did the Lord judge among the Heathen, filling [Mystic] with dead Bodies." Mason also insisted that should any Pequot attempt to escape the flames, that they too should be killed. Of the 600 to 700 Pequot at Mystic that day, only seven were taken prisoner while another seven made it into the woods to escape. The Narragansett and Mohegan warriors who had fought alongside John Mason and John Underhill's colonial militia were horrified by the actions and "manner of the Englishmen's fight . . . because it is too furious, and slays too many men." Repulsed by the "total war" tactics of the Puritan English, and the horrors that they had witnessed, the Narragansett returned home. Believing the mission accomplished, John Mason also set out for home. The militia became temporarily lost, but in doing so Mason narrowly missed returning Pequot Indians who, seeing what had occurred, gave chase to the Puritan forces to little avail. 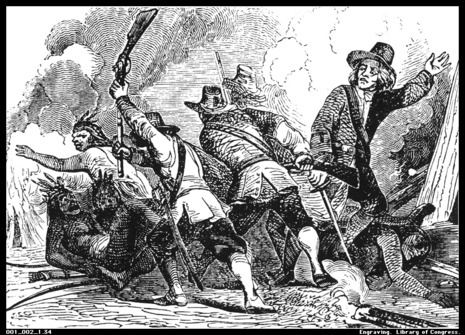 It happened just before dawn on May 26, 1637 in Mystic, Connecticut: English colonists, for the first time, unleashed total war designed to obliterate an entire Indian tribe in the New World. Hundreds of men, women and children of the Pequot tribe were burned to death on a day that changed forever the relationship between those who had recently arrived and those who had lived here for countless generations.